Conveniently located just south of Delaware off of R23 just minutes north of Columbus (Capital of Ohio) with easy access to Rt 23 from I-270 in Columbus. 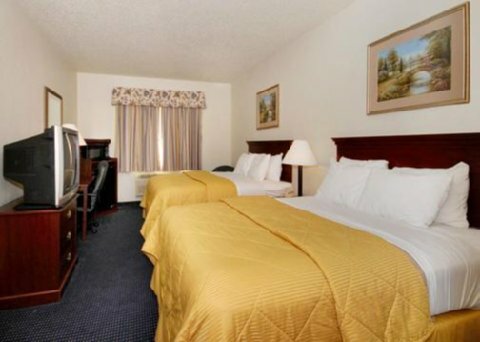 Hotel is within walking distance to several full service family sit down restaurants that serve breakfast, lunch and dinner, entertainment movie theater, attractions and businesses. Minutes from Brown Jug, Delaware County Fair, State Park, Horse facilities, antique malls and shopping malls. Comfort Sunshine Breakfast offered daily. Guest will enjoy our upgraded bedding, luxuriously apponted rooms all with Microwave/ Refrigerator as well as our indoor pool. Complimentary Wireless High-speed internet throughout hotel. Ask about our free pass to local gym.